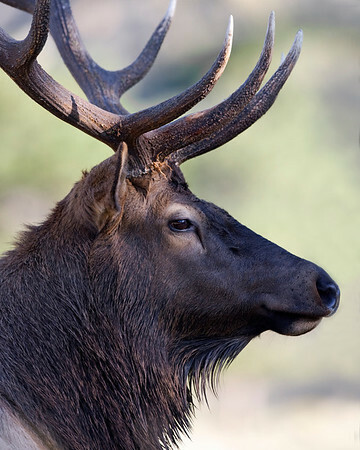 A collection of Elk images. 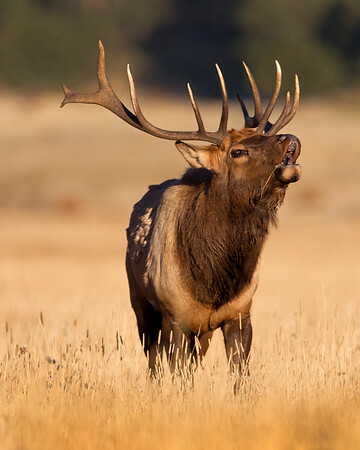 This photograph of a bull Elk was captured in Rocky Mountain National Park, Colorado (9/08). Late morning resting allowed for a close approach. Would have preferred frontal lighting but considering possible disturbance was content with the pose and side portrait. This photograph is protected by the U.S. Copyright Laws and shall not to be downloaded or reproduced by any means without the formal written permission of Ken Conger Photography. 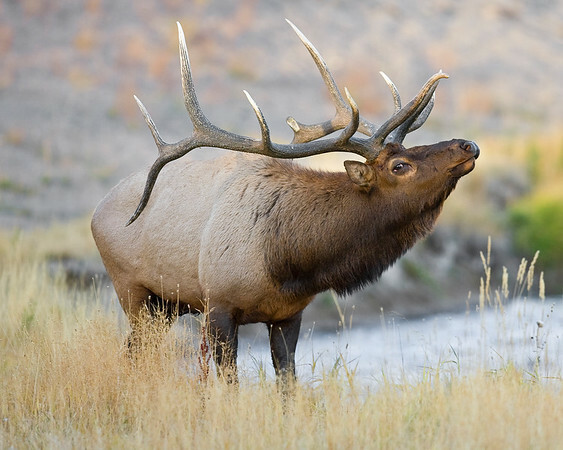 This bull Elk photograph was taken one afternoon in Yellowstone National Park. He was crossing a creek and stopped after taking and drink and I captured this photograph (10/05). This photograph is protected by the U.S. Copyright Laws and shall not to be downloaded or reproduced by any means without the formal written permission of Ken Conger Photography. 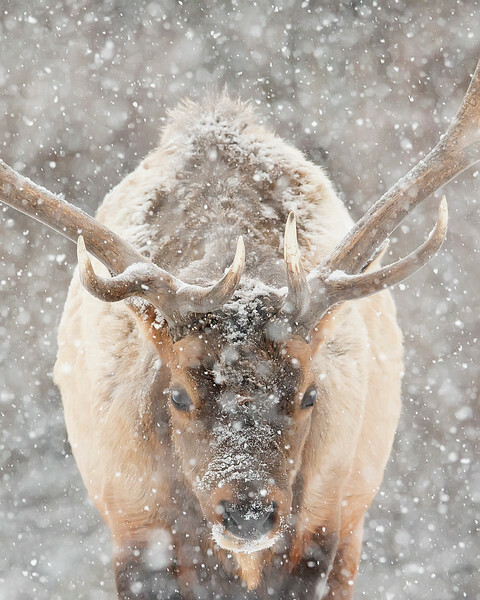 This photograph of an Elk during heavy snow was captured in Yellowstone National Park, Wyoming (1/15). This photograph is protected by the U.S. Copyright Laws and shall not to be downloaded or reproduced by any means without the formal written permission of Ken Conger Photography. 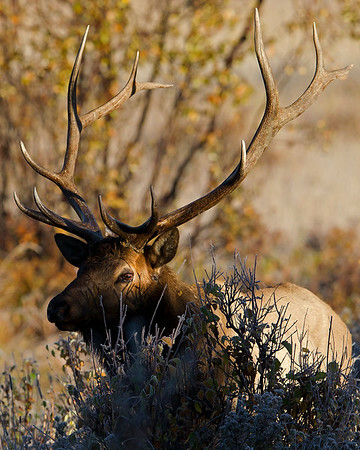 This bull Elk photograph was taken in Yellowstone National Park (10/04). 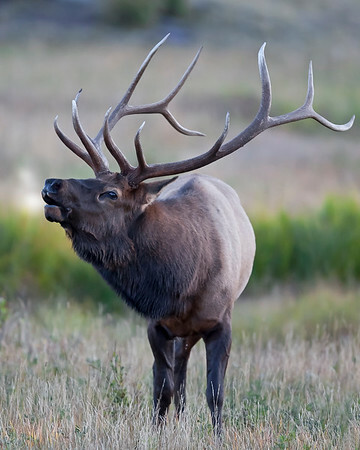 This photograph of an immature bull Elk was captured in Rocky Mountain National Park, Colorado (9/08). 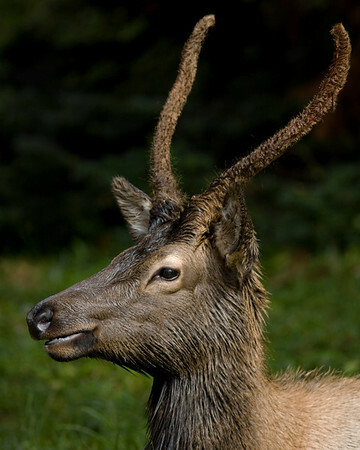 If you look closely, mid way up his right antler you can see a red seam where the velvet will eventually peel off. This photograph is protected by the U.S. Copyright Laws and shall not to be downloaded or reproduced by any means without the formal written permission of Ken Conger Photography. 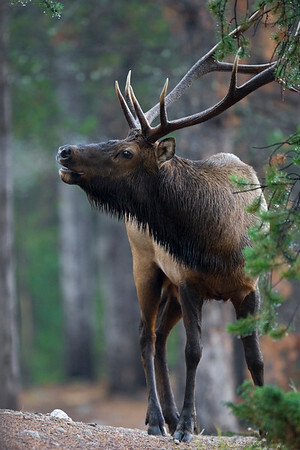 This morning photograph of a bugling Elk was captured in Jasper National Park, Alberta Canada (10/09). This photograph is protected by the U.S. Copyright Laws and shall not to be downloaded or reproduced by any means without the formal written permission of Ken Conger Photography. 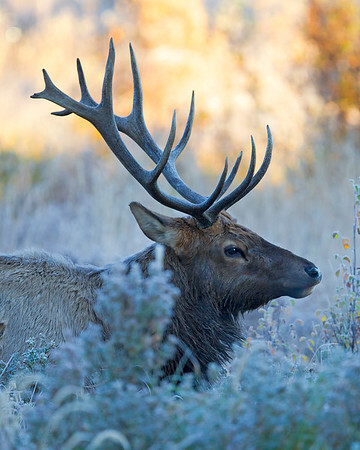 This frosty morning photograph of a bull Elk was captured at Rocky Mountain National Park, Colorado (9/11). This photograph is protected by the U.S. Copyright Laws and shall not to be downloaded or reproduced by any means without the formal written permission of Ken Conger Photography. 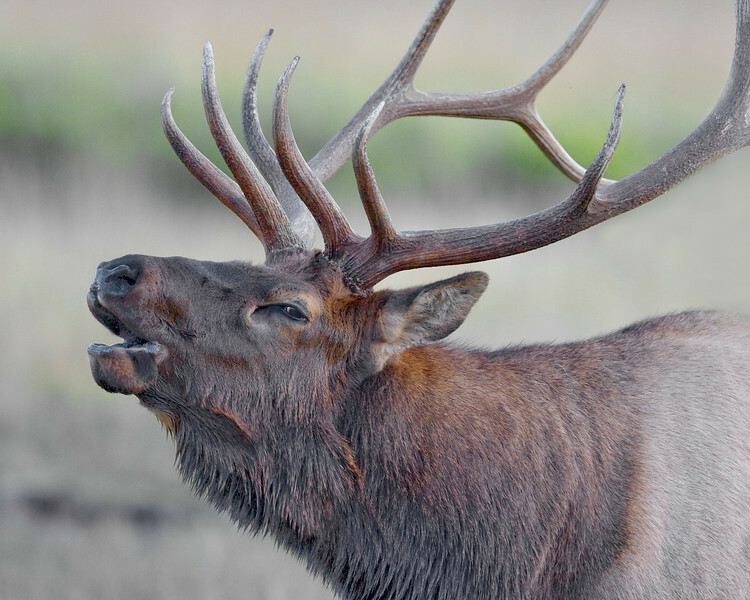 This photograph of calling bull Elk was captured in Rocky Mountain National Park, Colorado (9/08). Stayed with this bull for for 2 hours early one morning. He had several competitors moving in on his harem. One bull was approaching through the woods. I positioned myself adjacent to him as the other bull approached. He bugled and I captured the above image. This photograph is protected by the U.S. Copyright Laws and shall not to be downloaded or reproduced by any means without the formal written permission of Ken Conger Photography. 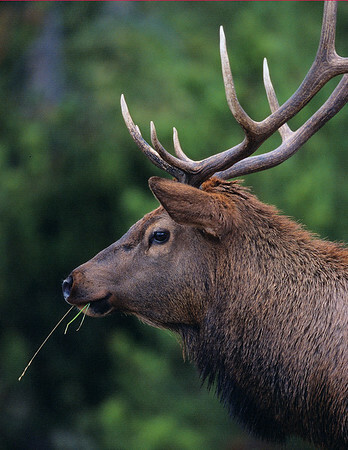 This photograph of a bull Elk was captured at Rocky Mountain National Park, Colorado (9/11). This photograph is protected by the U.S. Copyright Laws and shall not to be downloaded or reproduced by any means without the formal written permission of Ken Conger Photography. 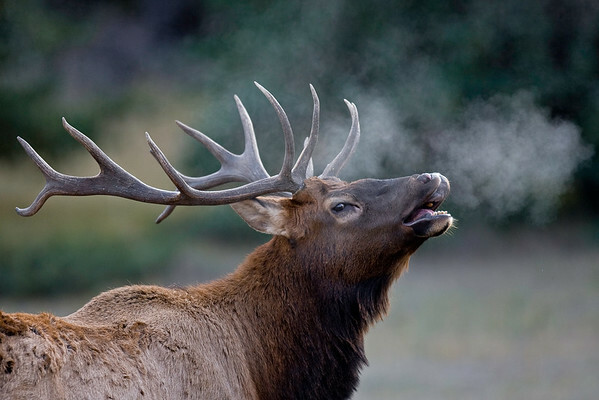 This photograph of a bugling bull Elk was captured at Rocky Mountain National Park, Colorado (9/11). This photograph is protected by the U.S. Copyright Laws and shall not to be downloaded or reproduced by any means without the formal written permission of Ken Conger Photography. 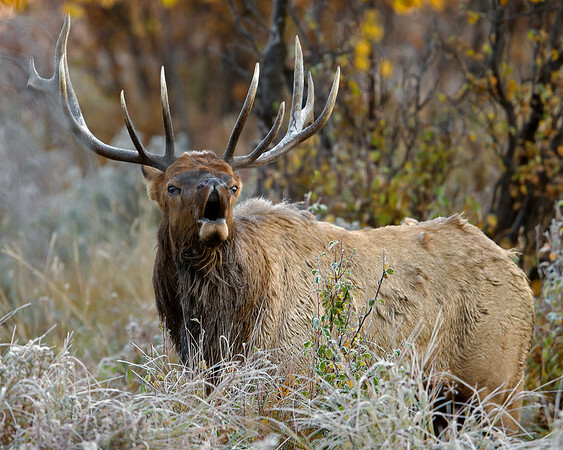 This photograph of calling bull Elk was captured in Rocky Mountain National Park, Colorado (9/08). This photograph is protected by the U.S. Copyright Laws and shall not to be downloaded or reproduced by any means without the formal written permission of Ken Conger Photography. 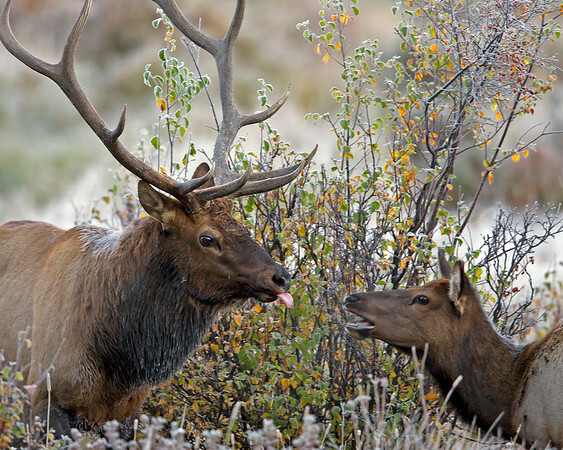 This photograph of a bull Elk sticking his tongue out at a cow was captured at Rocky Mountain National Park, Colorado (9/11). This photograph is protected by the U.S. Copyright Laws and shall not to be downloaded or reproduced by any means without the formal written permission of Ken Conger Photography. 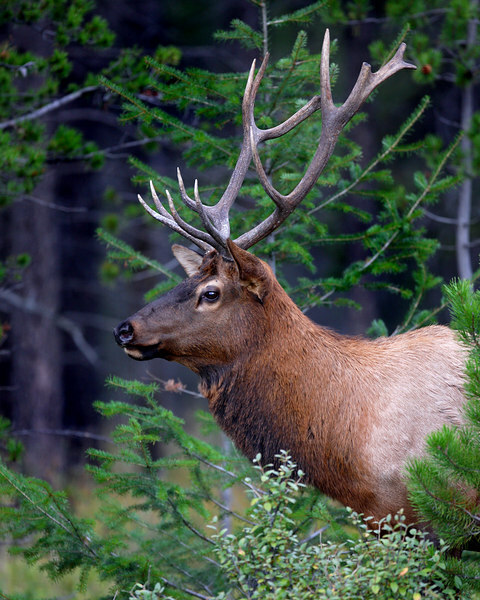 This bull Elk photograph was captured in Jasper Provincial Park. This photograph is protected by the U.S. Copyright Laws and shall not to be downloaded or reproduced by any means without the formal written permission of Ken Conger Photography. 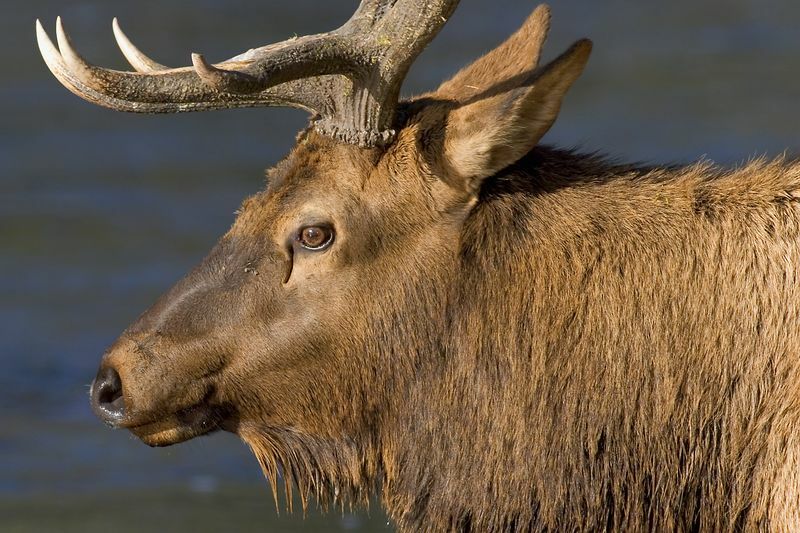 This Elk photograph was captured in Yellowstone National Park (10/09). This photograph is protected by the U.S. Copyright Laws and shall not to be downloaded or reproduced by any means without the formal written permission of Ken Conger Photography. 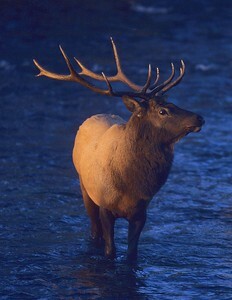 This bull Elk photograph was taken while he was walking his harem across a creek early one morning in Yellowstone National Park. I was on the ridge just above him with my camera/tripod. He stopped for a minute and looked right up at me when I captured this photograph (10/04). This photograph is protected by the U.S. Copyright Laws and shall not to be downloaded or reproduced by any means without the formal written permission of Ken Conger Photography. 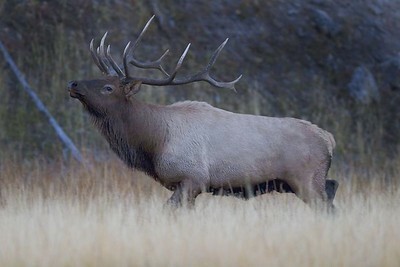 This bull Elk photograph was taken one morning in Yellowstone National Park. 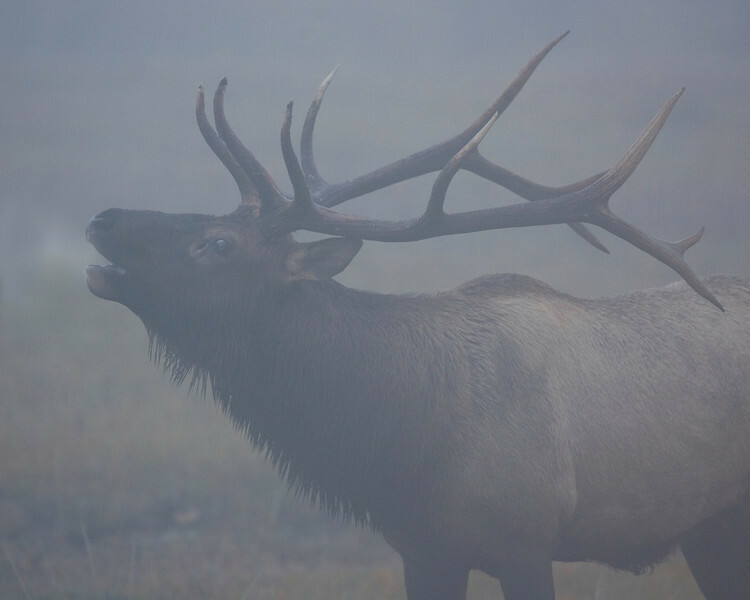 He stopped and bugled when he heard another bull bugle close by and I captured this photograph (10/05). This photograph is protected by the U.S. Copyright Laws and shall not to be downloaded or reproduced by any means without the formal written permission of Ken Conger Photography. 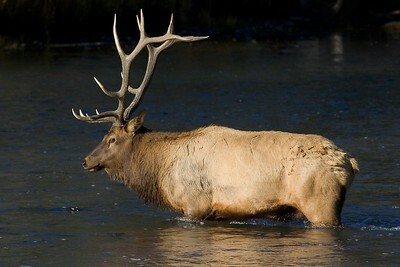 This photograph of a bull Elk was captured in Rocky Mountain National Park, Colorado (9/08). Late morning resting allowed for a close approach. Would have preferred frontal lighting but considering possible disturbance was content with the pose and side portrait.